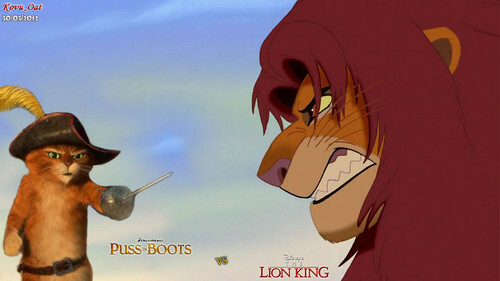 Simba Lion King VS Puss in boots. Big cat from disney VS cat from Dreamworks. ^^. HD Wallpaper and background images in the disney crossover club tagged: disney dreamworks simba puss in boot.